Recently, I read Lucy Knisley's Relish: My Life in the Kitchen. 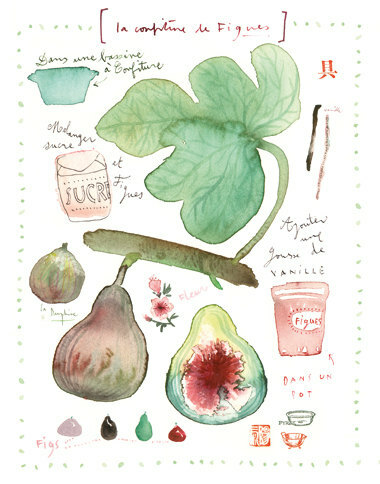 One of my favorite aspects of her book was the illustrated recipes she included. She has a way of illustrating food that makes the reader instantly hungry. If you want to learn more about growing up in New York with "foodie" parents before the term "foodie" was part of the vernacular, then you should definitely check out the book. However, as you can gather from the title of today's piece, I want to share with you another illustrator I discovered because Knisley's book sent me on a search for other illustrated recipes. In my search, I discovered Lucile Prache. Prache is an Illustrator based in Paris, France who captures her love of food, fashion, and architecture in amazing watercolor designs (as you will come to know, I have a weakness for watercolor illustrations). You probably have seen her work before, as her client list includes Dior Haute couture, YSL parfums, William Sonoma, Marie Claire, Le Monde Hors-série to name a few (and that does not even include her contributions to cookbooks). 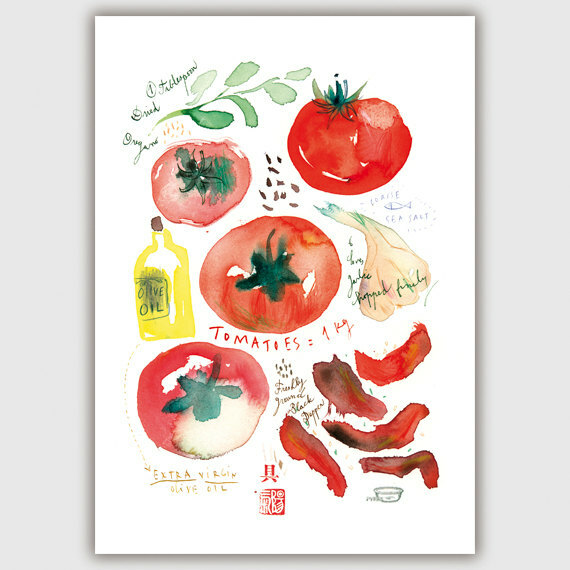 She also sells her prints via her online shop lucileskitchen. There you can find illustrated fruits and vegetables, maps, plants, Parisian architecture, and my favorite, her recipe line. 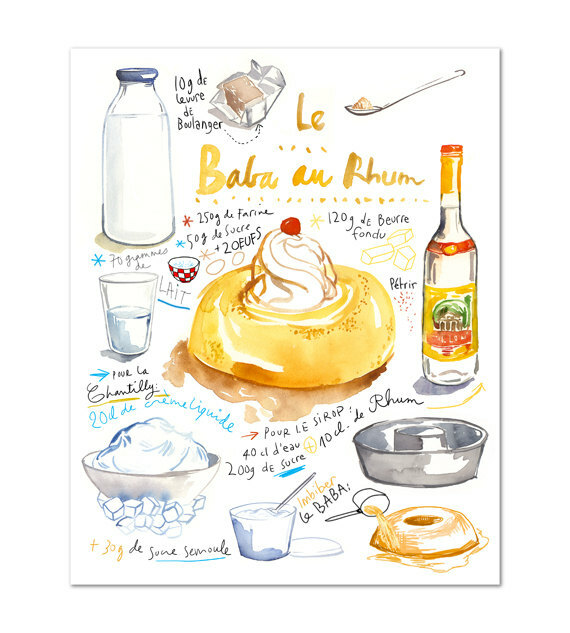 From sweets to savories, Prache's illustrations not only make you want to try these dishes, but attempt to make them yourselves. Here are some of my favorites, but you can check out all of her work and keep up with her new creations (that is in addition to her personal site) via Instagram, Pinterest, and Facebook. I love how a book inspires you down a random path. You never know what you will find.